At The Home Brewery we love to get new people hooked on what we think is the best hobby out there! We have designed our brewing equipment kits to accommodate different entry levels. Our Basic Equipment Kit provides a completely affordable starter kit, perfect for someone wanting to give the hobby a try. The Deluxe Equipment Kit comes with several gadgets and time-savers. While they might not be critical to the homebrewing process, they sure do make it easier and more fun! This kit is designed for the person that knows that this is the hobby for them! 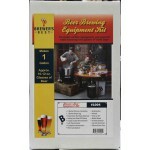 Our brewing equipment kits provide you with all the equipment you need to get started homebrewing. Buying these homebrewing kits will save you money since you won’t have to buy all the pieces separately. 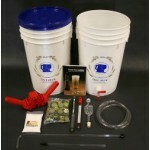 We also offer upgrades to further customize the beer-making kit to your liking. Most people choose to save even more and include a discounted ingredient kit that contains all the ingredients and instructions needed to make their first batch of homebrew. Choose one of The Home Brewery's homebrewing equipment kits and let our friendly advice, high quality equipment and fresh ingredients make your homebrewing adventure a huge success! 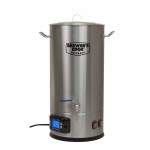 This beer brewing system includes all the equipment you will need for fermentation, transfer and bot.. 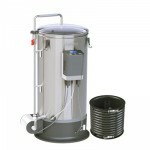 The Home Brewery's Deluxe Equipment Kit provides the new brewer with everything needed for..
NEW !! 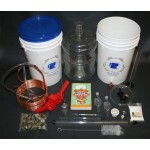 Brewer’s Best One Gallon Equipment Kit. Specially created for small batch fermen..